I love getting to know a new city especially when I have no expectations and have no plans. For me the best way to explore a city is to not bother with a map, ignore the tourist attractions, wander aimlessly, soak up the atmosphere of local life and watch the comings and goings of the people who call the city home. Its so much better when you see the life of a city with no knowledge and as a complete stranger. 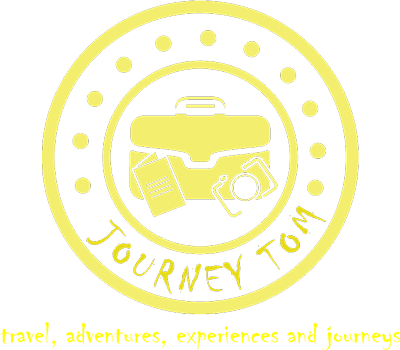 From my many tweets and previous posts you will know that I was in Italy staying in Bologna as part of the Emilia Romagna tourist boards blogville initiative. 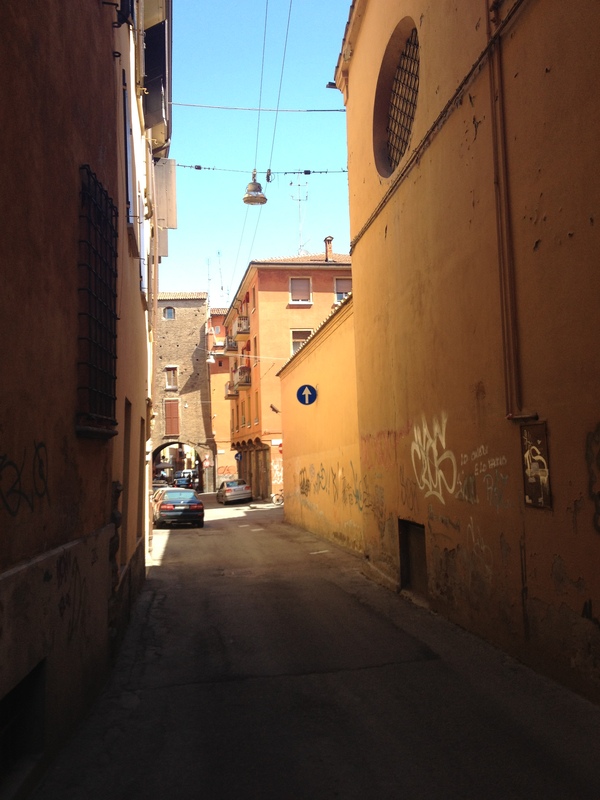 Being able to stay in a local apartment allowed me to really get to know Bologna and do exactly what I have described above. 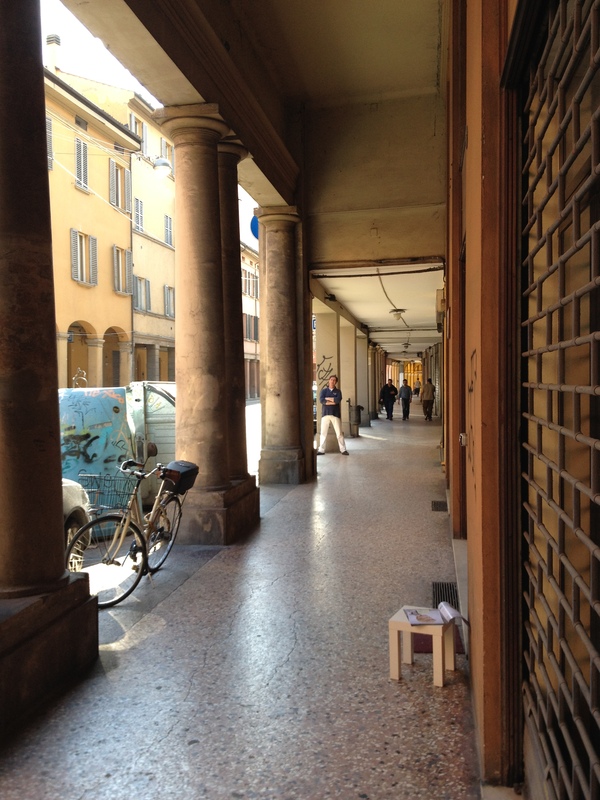 I spent my first morning in Bologna sloping in and out of the shadows of the porticos with no real direction. 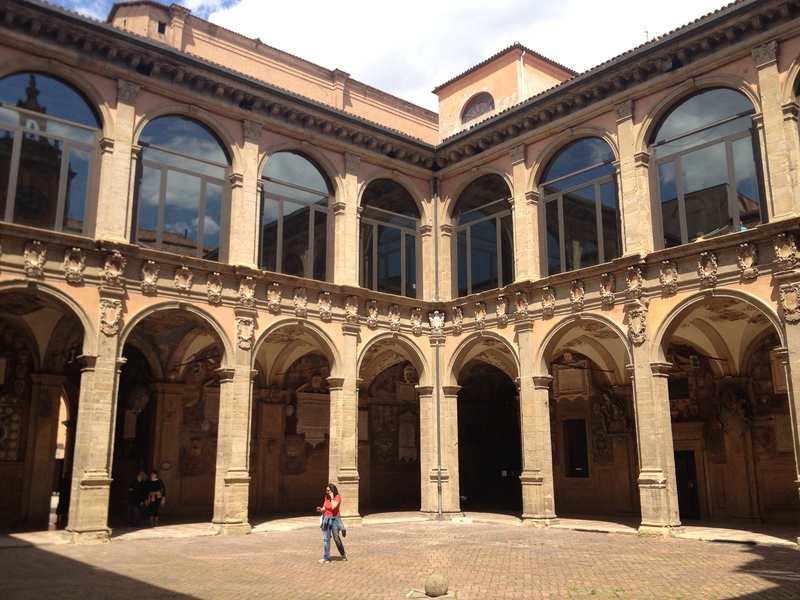 Bologna’s porticos were made compulsory as a public space in the year 1288 and all new houses had to have them. Back then they all had to adhere to minimum measurements to allow a rider to sit atop his horse and allowed the residents to be able to move around the city sheltered from warmth of the sun or driving rain. They are an incredible feature of the city and there was no way I was going to cover all 40km of them during my visit. As busy as the city was during my wander I still managed to disappear down plenty of back streets that were empty, peaceful and a great contrast to the busy Porticos. Whilst Rome, Florence and Venice adorn the pages of many glossy brochures and are all, of course, worth a visit. They, at certain times of the year, are overrun with tourists. 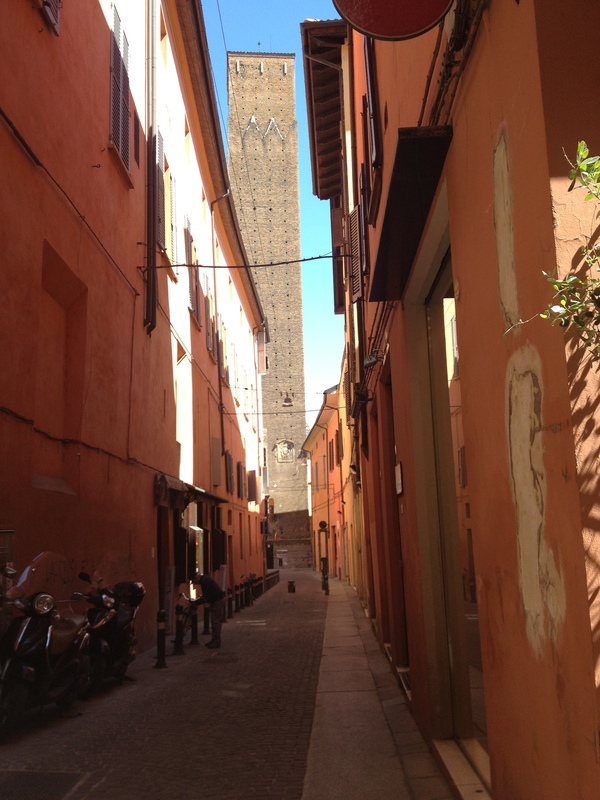 Bologna on the other hand seemed alive with much more local life day and night. The city has the worlds oldest university originally founded in 1088 and, still to this day, creates a huge student scene within the city. 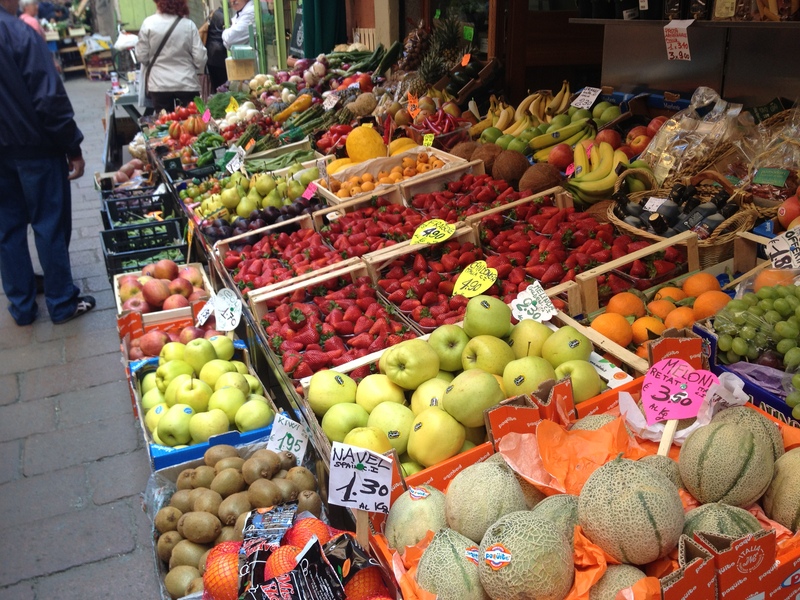 From coffee shops, gelataria’s, local market stalls and a huge host of bars that serve excellent aperitivos along with being situated in the heart of Italy’s most celebrated food region, the people of Bologna really are living ‘the good life’. I could post a million photos, write hundreds of blog posts and throw plenty of superlatives at the city but I still don’t feel I would do Bologna justice. It’s a real gateway to the Emilia Romanga region with so much going on. There are plenty of tourist areas and things that you should still visit whilst in the city but on that first morning just make sure you leave your hotel, apartment or hostel, pick left or right and see where your feet take you. I promise Bologna will not disappoint. Does the name “spaghetti bolonese’ come from ‘bologna’? And — Since they have the oldest university, do they also contain some of the oldest extant manuscripts there or did the Vatican take them? Bolognese sauce does indeed come from the region although traditionally named Ragu alla Bolognese I think? It was never normally served with spaghetti normally tagliatelle instead.